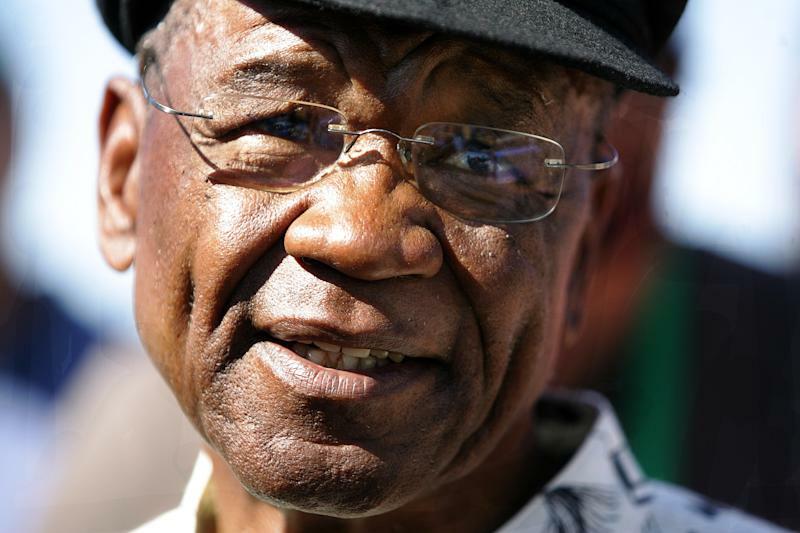 Maseru (Lesotho) (AFP) - Lesotho Prime Minister Tom Thabane said he had fled for his life across the border to South Africa, accusing the military of seizing power in a coup and leaving the country in flux. 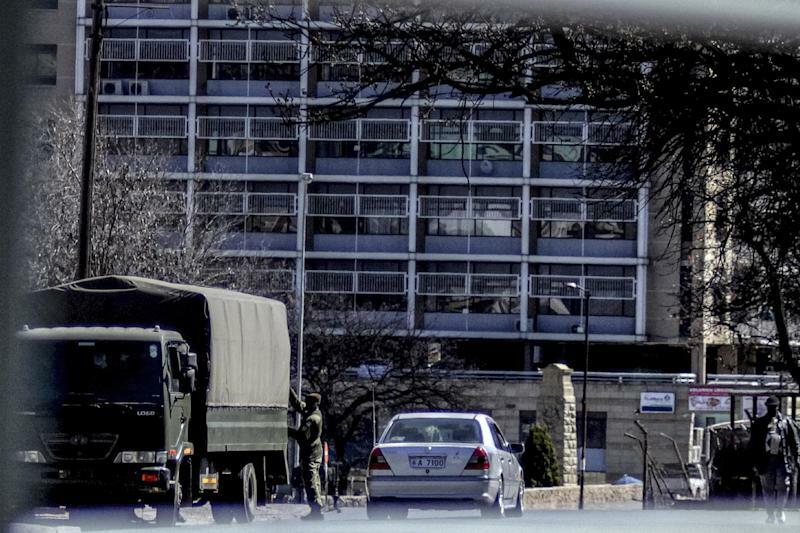 In a pre-dawn move Saturday the army seized control of key police facilities in the capital Maseru, including the force headquarters, in what Thabane said was a highly choreographed attempt to oust him from power. "I have been removed from control not by the people but by the armed forces, and that is illegal," Thabane told media. "I will return as soon as my life is not in danger... I will not go back to Lesotho to get killed." But the military rejected the suggestion of a coup as a "baseless allegation". Police officers told AFP that dozens of heavily armed soldiers arrived in armoured personnel carriers as they were changing shifts, seizing an arsenal of semi-automatic and automatic weapons. One soldier and four police were seriously wounded in gunfights. "They did not say what they wanted, they just surrounded us and broke into the arsenal," said one officer, who asked not to be named. Local intelligence officers told AFP the coup was led by Lieutenant General Tlali Kamoli, who was recently ordered to renounce command of the Lesotho Defence Forces. "This issue of always alleging that the Lesotho defence force is mounting a coup d'etat is not a new thing," said Major Ntlele Ntoi, a military spokesman, adding that Kamoli remains in his post. "Even this time around, that is a baseless allegation." The military "respects and it is obliged to support the democratically government of the day," he said, adding that the military had decided to launch the night-time raids after learning some in the police force planned to supply arms to protestors due to march on Monday. By Saturday afternoon the military had largely returned to barracks, but an atmosphere of tense calm pervaded. Normally bustling streets were empty of the usual rush of Saturday shoppers. The police headquarters remained deserted, officers deciding to go to ground rather than stage a direct confrontation with the military and its superior firepower. Few in the international community or in this normally sleepy capital of 250,000 people believed that claim. 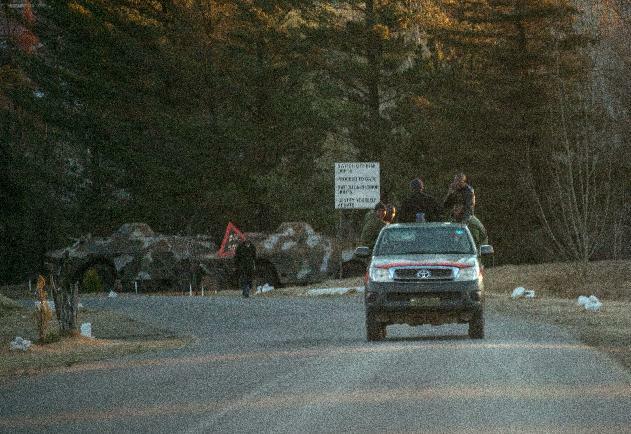 Lesotho's neighbour, regional power South Africa, and the Commonwealth warned the Lesotho Defence Forces that such action "shall not be tolerated". The United States voiced concern at the security clashes and called for "peaceful dialogue" in Lesotho while making no direct mention of an attempt to oust Thabane. Lesotho has suffered a series of coups since independence in 1966, and the political temperature in the country has been rising rapidly in recent months. Since the prime minister suspended parliament in June, divisions within the ruling coalition, the military and between the police and military have turned into chasms. While the coalition parties have few ideological differences, they remain locked in a battle for power. Military manoeuvres in June prompted fears of a coup and emergency talks that extended the shaky coalition government. Regional heavyweight South Africa -- which encircles Lesotho on all sides -- issued a strong response to the military’s actions, saying they bore the "hallmarks of a coup d'etat". Foreign affairs spokesman Clayson Monyela warned that such unconstitutional change of government "shall not be tolerated". South Africa launched an ill-fated invasion of Lesotho in 1998, when the "kingdom in the sky" was in the midst of another political crisis, reducing the capital to rubble. Pretoria appeared not to rule out further military intervention. "Let's give diplomacy a chance," said Monyela, describing military action as "last resorts". The Commonwealth urged the armed forces to return power to the government. "It is imperative that the military take urgent and immediate steps to return the country to civilian rule and return to the barracks," Commonwealth secretary-general Kamalesh Sharma said in a statement. "There has also been a long-simmering tension between the LDF (military) and the police force that is strongly correlated with the current political divisions in the country," said John Aerni-Flessner of Michigan State University.